The Greco-Roman world was one of cities, many of which still shape the landscape of Europe, North Africa and the Middle East today. Yet the ancient city was not only a distinct architectural form, but also the centre of ancient people’s lives. Greek and Roman cities were arenas for politics and displays of power and status, venues for culture and entertainment and the backdrop for daily life, worship and death. Ancient ideas and politics, such as monarchy or democracy, developed in and for cities. Studying the ancient city, through its art, architecture and literature that survives today, means understanding the rise and fall of the Greek and Roman world and its heritage to modernity. The Departments of Archaeology and History at the University of Sheffield are holding a free study afternoon for GCSE Students from local schools and colleges. You will be introduced to ancient Greek and Roman cities and given a taste of what studying History or Archaeology at University is all about. You will have the opportunity to investigate two themes from the table below in small seminar groups, taught by final-year History and Archaeology students, with Dr Julia Hillner, Dr Jane Rempel and Prof Maureen Carroll offering concluding comments. 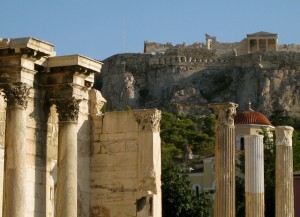 This entry was posted in and tagged Archaeology, cities, greek, history, Jane Rempel, Julia Hillner, Maureen Carroll, roman, schools, student participation on June 23, 2014 by Beky Hasnip. Based in the Department of History, ‘Project Alex’ is a new initiative exploring ways to embed public engagement in research-led teaching. Led by Dr Catherine Fletcher, Lecturer in Public History, the project centres on the life and times of Alessandro de’ Medici, first duke of Florence (ruled 1531-37). 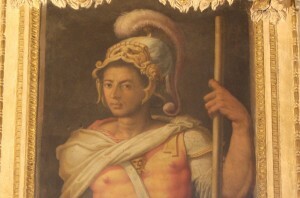 The illegitimate son of an African slave, Simonetta, and Lorenzo, duke of Urbino, Alessandro was the first ‘black’ head of state in the modern West but his life is relatively little-known. Though ‘Project Alex’ begins with research into Alessandro and his court – and will end with the usual academic publications – the public engagement element has been in place right from the start of the archive work this summer. A blog discussing the research process has been launched and currently features entries from both Dr Fletcher and SURE bursary-holder Emma Newman. Emma worked on the project over the summer alongside Leyla Yilmaz, a third-year undergraduate who has been helping to develop schools workshops funded through the Arts Enterprise scheme. The first pilot workshops will be held in November at Notre Dame School and Worksop College, with a project launch following on Monday 25 November, 5.30pm in the Jessop West foyer (colleagues very welcome). Since the start of term the project has had twenty new contributors in the form of two first-year student groups on the History Workshop module. They are learning about the research process by joining in bibliographic research, discussing source analysis and considering the existing literature related to the project – just as in the usual research-led teaching model. But they are also able, right from the start of their degree, to contribute to its public face via the blog and workshops, a Facebook page, exhibits for the project launch and a Twitter account, @alexmedicidux. We look forward to bringing you more news as the project progresses. This entry was posted in News and tagged history, Project Alex, Public Engagement, schools, Teaching on November 6, 2013 by James Pearson.